Since antiquity, the elephant has been a powerful symbol of strength, good fortune, knowledge, and fertility. This unique animal is considered sacred in Buddhism and Asian mythology and has a strong influence on its beholder’s spirit and luck. 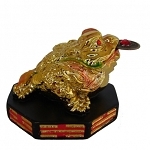 The Feng Shui elephant has the same utility as Fu dogs, and are a popular protection cure with their physical power and strength. 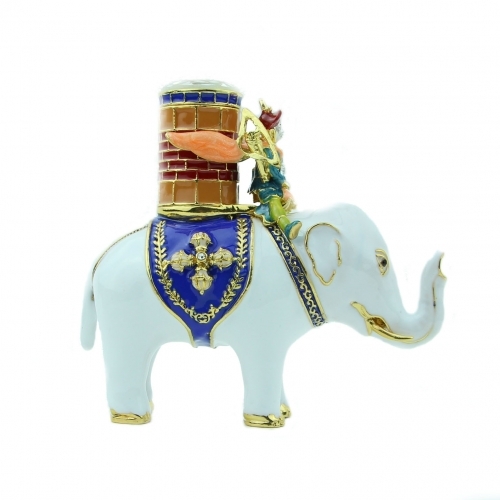 Place this gorgeous victory elephant on your desk for enhanced promotion opportunities and career advancements. This magical victory elephant will allow you to achieve higher and greater standings and increase your “power” presence at work. The dimension of the Power Elephant with Warrior is approx. 4 3/4" x 2" x 4 1/4". It is made of alloy.